Who is driving up transport prices in Singapore? Even though Singapore is a small country, it is ironic that our cost of transport has increased up to the price of a small apartment. COEs are almost $50,000 now, and may possibly increase further due to private-hire car firms competing with the average individual COE bidder to secure large numbers of COEs. In response to complaints to stop these car firms from bidding for COEs, the LTA has come out to say it will “monitor the situation”. If you cannot get a car, your next option is to hire a taxi or private-hire vehicle (PHV) using an Uber or Grab app. However these services can chalk up to $800 a month if you use them for a round trip to-and-from work every day, including weekend outings. We wondered how Uber/Grab determines their fare structure, and if the Uber/Grab fares are comparable to taxi fares (even if it’s slightly cheaper), what is driving up the cost of taking taxis? What do taxi/PHV commuters think about the industry? 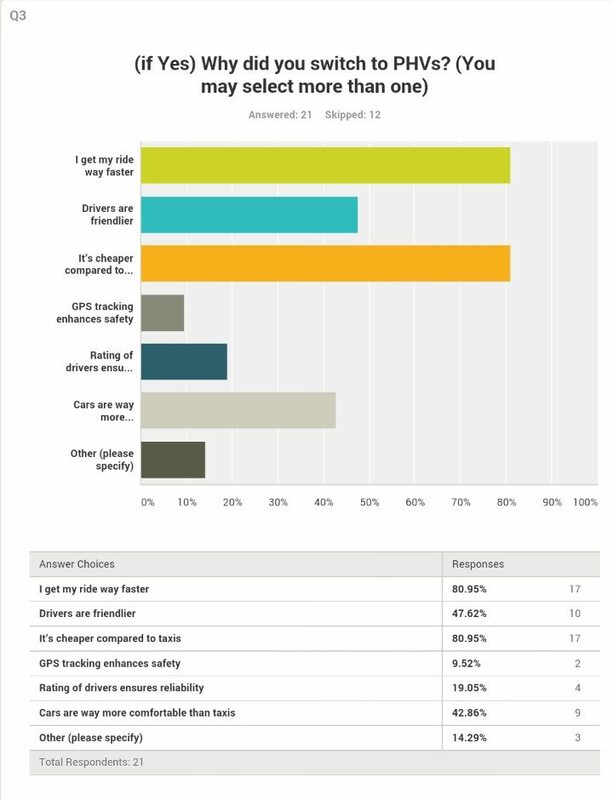 We created our own dipstick survey to ask our friends who take taxis/PHVs on their views of this industry, and obtained some responses from Ministry of Transport (MOT) and Grab based on the survey. Uber was unable to respond by the time this article was published and there was completely no response by Comfort Delgro and SMRT. 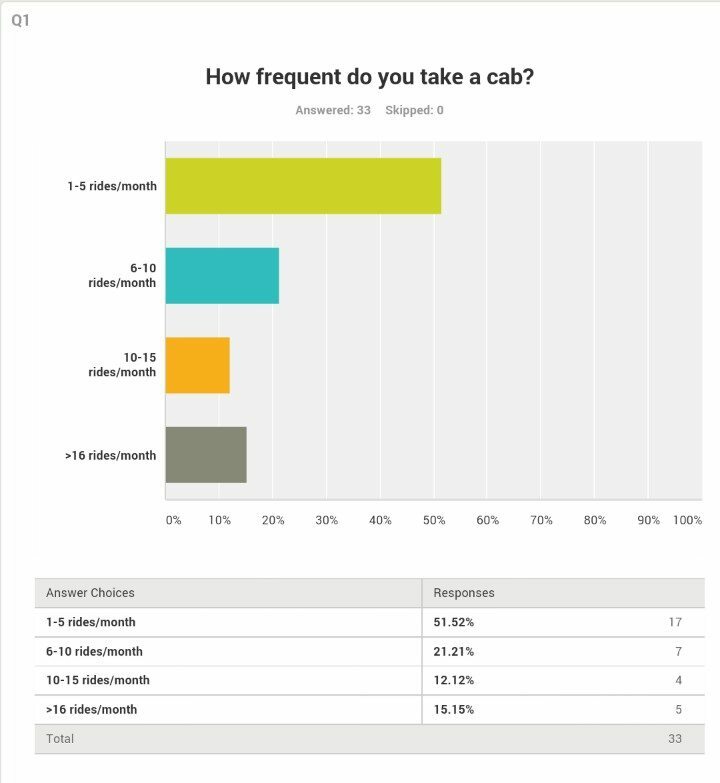 More than 60% of respondents who take a taxi have switched to Uber/Grab. This is not surprising as it is very easy to pay without digging in your pocket for coins and you can track the driver’s ETA to pick you up. Drivers are usually friendly as they need your good ratings to enjoy preferential access to future passengers (or so we heard). 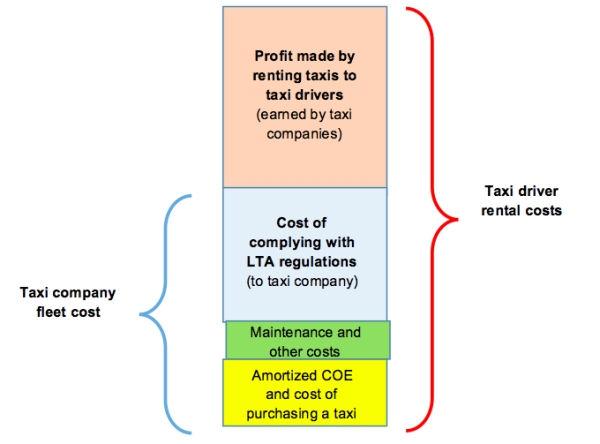 Are irrelevant taxi regulations driving up taxi fares? 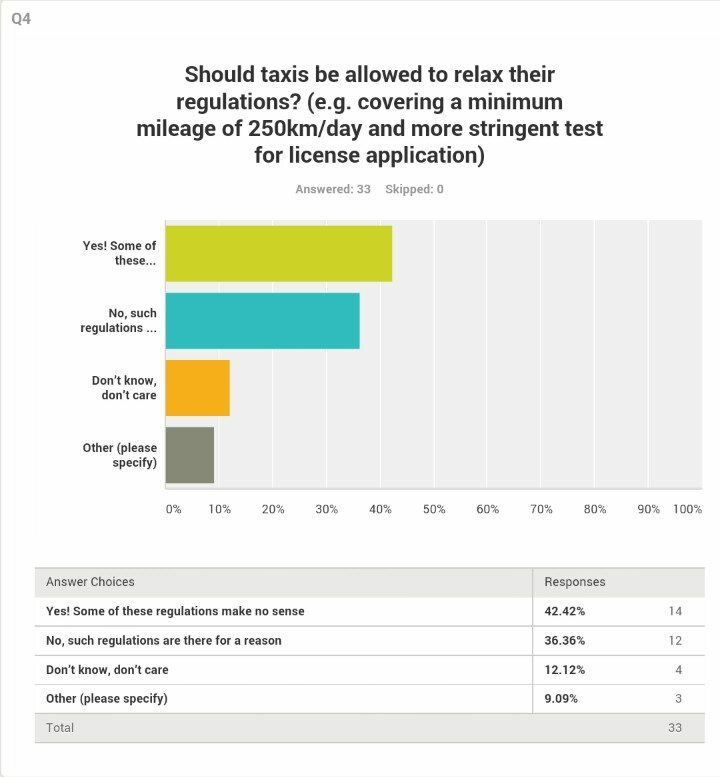 42% of respondents think that taxis should be allowed to relax their regulations, such as covering 250km a day. With Uber/Grab services filling in the gaps, why do we need these availability regulations? How does driving around 250km a day ensure more commuters get a ride quickly? There was no clear response by MOT regarding the removal of taxi availability standards. Instead of deregulating such availability standards which may be obsolete, MOT is increasing regulations for private-hire industry to make it a “fairer playing field”. 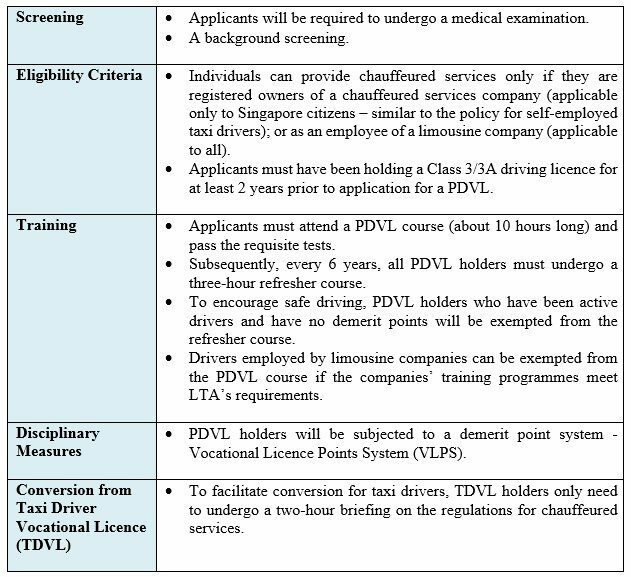 8,000 to 10,000 drivers of PHV services will have to take a Private Hire Car Driver’s Vocational Licence (PDVL), register their cars with LTA and display a special decal. In a way, this regulation protects commuters from pirate taxis and bad drivers (yes there are many out there). But this shouldn’t distract us from the point that we may be paying more in taxi fares due to other regulations which may not be relevant anymore. but there was no response. What about letting taxi drivers dynamically pricing their fares to compete with Uber/Grab drivers? 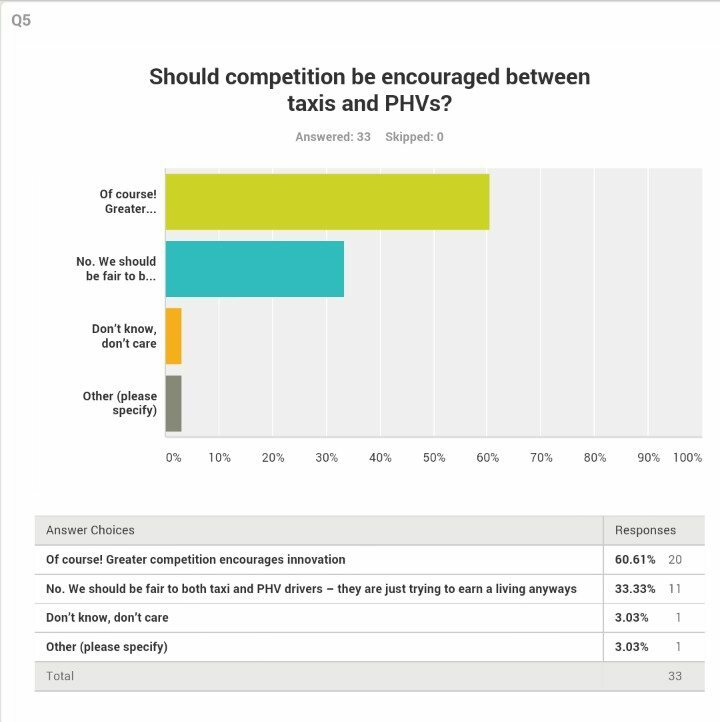 There are many questions about the possibility of a free taxi/PHV market we can explore to ensure that there is a “fairer playing field”, no? 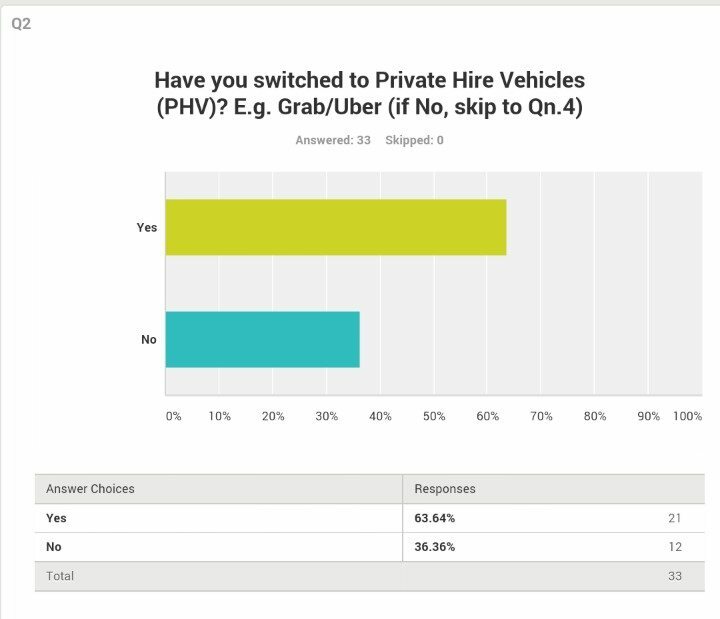 With more PHV drivers in Singapore, it is inevitable there will be burning issues such as negotiating with MOT over regulations for PHV drivers and increasing benefits from Uber/Grab. 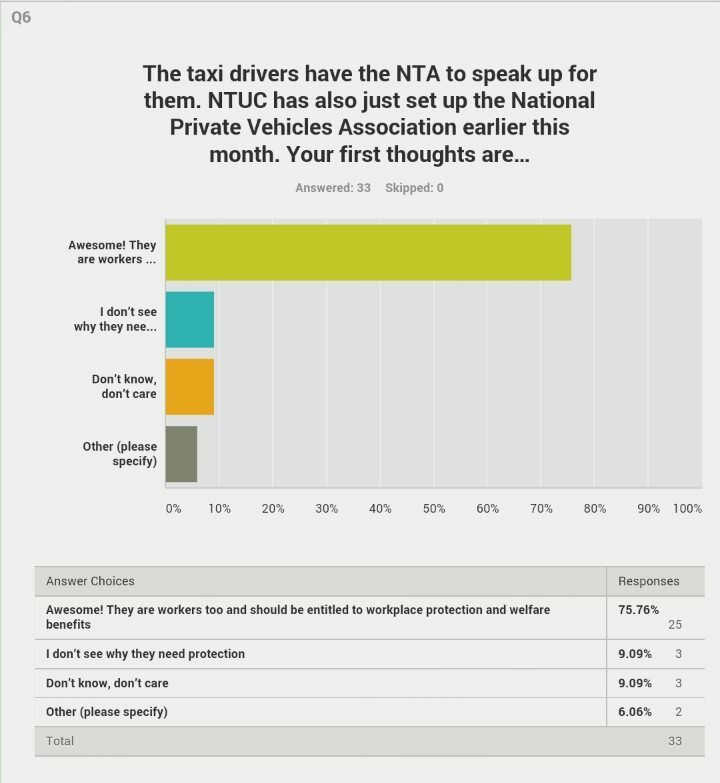 The National Private Hire Vehicle Association (NPHVA) aims to give PHV drivers a bigger voice towards MOT and Uber/Grab to collectively bargain for their interests as self-employed workers. We think this may ultimately benefit commuters too with better services, pricing and choices. Uber was not able to respond to questions on the NPHVA, but Lim Kell Jay, Head of Grab Singapore, supports the formation of this association. “Grab strives for a well-regulated and well-represented private-hire car (PHC) industry that will contribute to a healthy ecosystem of complementary transport services. The formation of the National Private Hire Vehicles Association (NPHVA) is another progressive step the nation is taking to support the long-term sustainability of the PHC industry, and ensure that the interests of PHC drivers are represented. It’s our priority to ensure that Grab drivers, our key partners who dedicatedly provide a safe and reliable service, have sustainable livelihoods. We are supportive of any industry initiative that benefits Grab drivers, and believe that the NPHVA will be a meaningful support network for PHC drivers. We are also honoured that one of our GrabCar drivers will be part of the Pro-tem Committee to represent the voices of Grab drivers. Such representation is timely and essential, especially as the PHC industry evolves and role of PHC drivers continues to be actively discussed in the public sphere. In the end, we can only hope that the taxi/PHV industry eventually moves towards one where commuters can easily get a ride at an affordable cost without unnecessary hassles. Goodbye eScooters and shared bikes…Singapore was just not ready for you. some of the Uber/ Grab car drivers wear bermuda shorts plus slipper and T-shirt only. They ferry passenger . why the passenger never complaint? If a taxi driver wear bermuda shorts plus slipper and T-shirt, his passenger sure complaint to LTA and take photo upload to Stomp !!! Is this call fair play ?